Political parties aside, here’s a basic fact: a government shutdown can have long-lasting impacts on all the involved. And if not managed properly, this could mean impacting your credit and financial future. Whether you’re considered “essential staff” and forced to work without pay, or you’re furloughed and asked to stay home for an undetermined period of time, you might be getting worried right now. As we approach a full month in the latest shutdown, there are thousands of government employees who aren’t receiving a paycheck – whether they show up each morning or not. When you also consider that about half of Americans have little or no savings tucked away, this pause in pay can be devastating. Many of the households impacted are cutting corners where they can, but groceries still need to be bought and bills need to be paid. But whether this shutdown ends tomorrow or continues for months (fingers crossed for the former), there are things that you can do to protect your credit along the way. A government shutdown will never be good news for those employees impacted, but it doesn’t have to be a death sentence for your credit score. Here are the steps you can take to protect your finances and your future, if Uncle Sam isn’t signing your paycheck right now. If your family typically lives paycheck to paycheck, this shutdown could require tapping into your emergency fund. Hopefully, you have at least $1,000 set aside (if not a full 3-6 months’ worth of expenses), which you can utilize until you’re paid again. While this might not have been the emergency you envisioned when you saved those funds, their use is certainly justified. Dipping into available cash stores should be your first plan of action. This will save you from late fees, interest charges, and will keep food on the table. Have you gotten a new credit card recently? If so, you might have a 0% interest offer waiting, either on new purchases or balance transfers (or both). 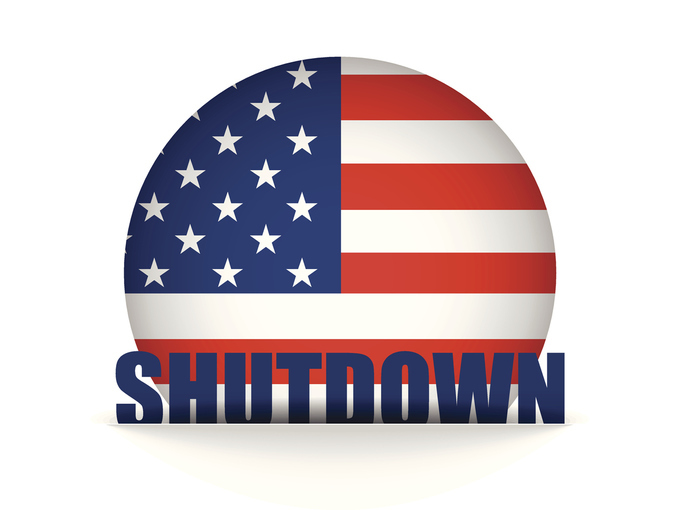 This can be utilized during a shutdown to cover weekly expenses or even shift another high-interest debt, so you can stay on top of your finances. If you’ve been considering getting a new credit card that offers a promotional interest rate, now might be the time to pull the trigger. That way, you can buy what you need on credit, but not worry about accumulating finance charges along the way. If you’re struggling to make payments on your loans right now, that’s understandable. And it’s time to let your lender(s) know. Whether it’s your car payment, monthly credit card statements, student loan payments, or even your mortgage, the sudden disappearance of your paycheck might make it impossible to stay on top of your bills. By giving your lenders a call, you may be able to take advantage of special programs, and save your credit from destruction. These options could include temporary hardships, interest-only requirements, waived late fees, or deferments. Anything you can do to avoid missing payments, though, will save you from both a botched credit score and even penalty interest rates… both of which could haunt you long after the government resumes work as usual. Lenders such as Wells Fargo, Marcus by Goldman Sachs, Prosper, LendingClub, and SoFi are offering assistance right now to impacted government employees. You will need to provide proof of your furlough in order to qualify. It goes without saying, but if you’re not getting a paycheck thanks to the government shutdown (or are impacted by any emergency situation), it’s time to put a halt to unnecessary spending. Even things that don’t feel frivolous could be cut (even temporarily) in order to help stay afloat. This could mean carpooling or taking public transportation to save on gas. Rather than buying your typical groceries, spend a week working through the pantry and freezer for meals. Many cell phone and internet/cable providers, gyms, and clubs will allow you to suspend services for a short period of time. Pausing these services could mean hundreds of dollars saved this month. Living in DC, I see the impact of the shutdown daily, and hope for those employees’ sake that this is all resolved very soon. Even if it’s not, though, there are ways to protect your financial future – no matter how tight the squeeze becomes on your budget.